For my Science fiction and Fantasy genre book, I need an energy source whose energy output should be much more than even a fully functional Dyson sphere. Can you please suggest some hypothetical concept as an option? Edit: I need just a Supernovae of energy to make some kind of hypothetical weapon, I don't need continuous source of energy. Moreover, I mentioned Dyson sphere just to indicate that I want to harness very high amount of energy. I think @nzaman had the right idea- black holes contain an enormous amount of energy, in the form of angular momentum. However, you don't need turbines to harness the energy. As explained by this video, an object that escapes the ergosphere by giving up some of its mass will speed up. The object enters the black hole's ergosphere and then shoots out, accelerating as it does. There is also another way to harvest energy from the black hole, and it doesn't involve giving up mass. Shining a laser by a black hole has the same effect. In the process of superradiant scattering, we can use mirrors to make the laser reflect through the black hole's ergosphere over and over. The light continually amplifies, until it is strong enough to be emitted and used as a power source. If the light isn't emitted, it has the potential to create possibly the most destructive weapon in the entire universe. Called the Black Hole Bomb, the light will eventually break free of the mirrors and wreak who-knows-what havoc. 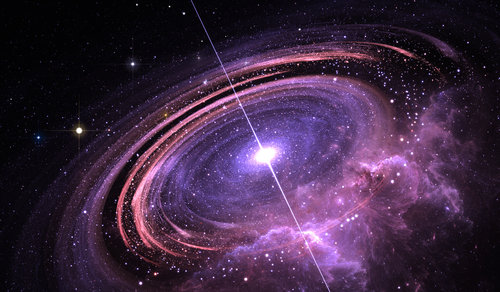 The surrounding galaxy is not visible from Earth, because the quasar itself outshines it. With an absolute magnitude of −30.7, it shines with a luminosity of 4×1040 watts, or as brilliantly as 140 trillion Suns, making it one of the brightest objects in the Universe. Compared to an hypothetical Dyson sphere built around our sun, the TON 618 one would give way more than the output you mentioned in the comments to your question. Black holes hypothetically can be tapped to generate the energy of a star in a much (much) smaller package. Black holes have a number of ways you can extract energy from them. Small black holes (perhaps artificial ones) can be made in size ranges which allow them to emit Hawking radiation. This website has a calculator which allows you to determine how much hawking radiation you can receive from any size of black hole. In this epoch, the cosmic background radiation is high enough that stellar mass black holes are effectively "dark" in terms of Hawking radiation. 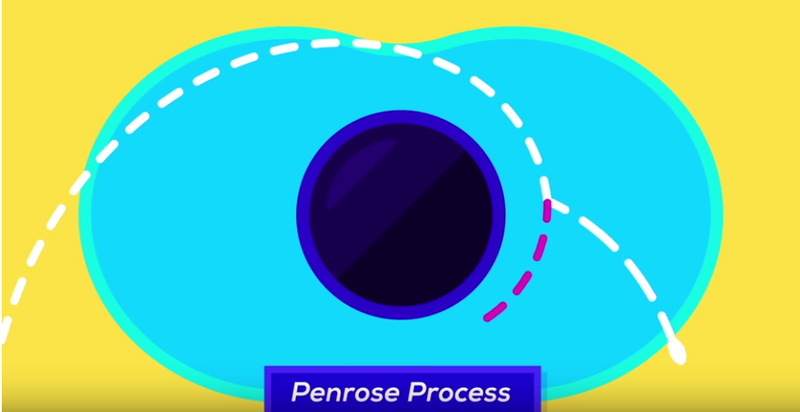 Roger Penrose proposed a method of tapping rotational energy from stellar mass black holes. Since we are talking about stellar sized black holes, this is actually an enormous amount of energy. So the energy output will vary based on the size of the black hole being harvested (much like a Dyson sphere output will depend on the star within), but black holes are quite compact, so the energy density will be far higher. Remember, outside of so called "quantum" black holes created artificially or near the beginning of the Universe, black holes are stellar remnants, so you are dealing with objects starting at about 3 solar masses in terms of size, and the black holes near the centres of most galaxies are thousands to millions of times more massive than our Sun. This is high-octane handwavium. It's almost certainly nonsense, but so is readily harnessing power on the scales you're talking about, so let's roll with it. Vacuum energy is one of the theories behind the energy deficit between observable space and the rate of universal expansion. Its potential scale varies by theoretician from very small (the most likely case) to enormous (the most useful case) to infinite (unlikely, but even more useful for your world). "Preserve the universe!" the activists cried, their placards waving outside the administration building. Inside, the C-suite scoffed. Redshifting of the local cluster had been only 1.4% over the last decade, nothing to worry about. Assuming you set your reality's version of vacuum energy to the "infinite" or "near-infinite" end of the scale, you can have as much power as you want. The idea of a Dyson sphere is to capture all the energy produced by a star, at the rate (i.e., power) the star normally emits that energy. Which might take billions of years. One way to get more power out of it (energy per unit of time) would be if you could accelerate the burning of the star. 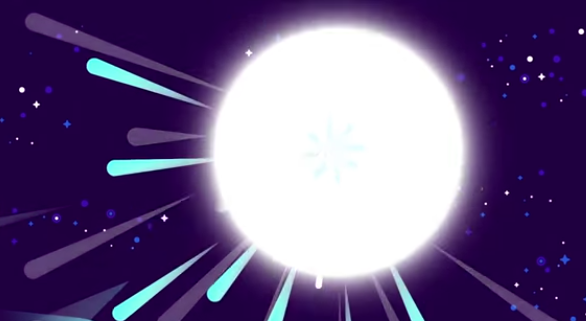 I guess this is what was seen in The Force Awakens, where the bad guys had a weapon that consumed a star and almost instantaneously turned it into blaster beams or something. Somewhat more "realistically", you might have something shaped like a Dyson sphere that surrounds a star and consumes it (converting all matter into energy) in a much shorter timespan than the normal life of the star. Then you could go looking for another star to consume, and so on. Here is a radical option inspired by Stephen Baxter's book Ultima: time travel from the end of the universe. If your universe will end by a big rip or by M-Brane collision, there could be massive amounts of energy released as the universe rips apart. 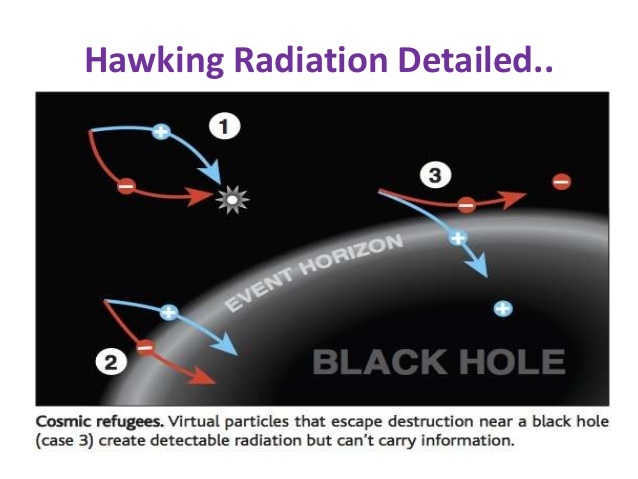 More possible method: the smaller a blackhole is, the faster it evaporates and outputs hawking radiation. By producing millions of microscopic black holes(via focusing lasers on a very small space to create a kugelblitz) and continually feeding each one a trickle of matter, you could convert matter to energy with 100% efficiency. 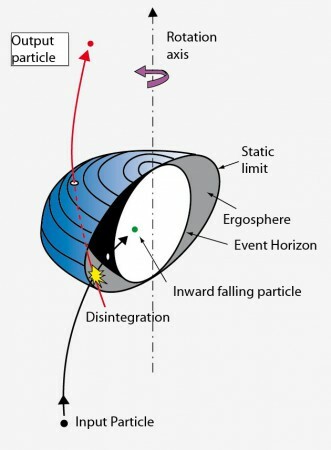 If you don't need continuous output, a gamma ray burst https://en.wikipedia.org/wiki/Gamma-ray_burst will do nicely, typically releasings as much energy in a few seconds as the Sun will in its entire 10-billion-year lifetime. The problem with naturally occurring stars is that, like most things in nature, they aren't purpose built to maximize efficiency. Sure, they're free to construct, but they come pre-loaded with a bunch of mass that you don't want. It sits in-between your sphere and the energy released by the fusion reaction, preventing clean, unobstructed propagation. What you really want is a star sized cluster of smaller dyson spheres built around artifical stars, complete with fuel injection and spent mass extraction, so that more of your mass and space are dedicated to the production and storage of energy, instead of an incidental fusion reactor sitting underneath a giant pile of inert mass. Black holes at the centre of galaxies. Collect energy by placing a series of giant turbines just outside the accretion disk, or even in it, to be driven by the rotating matter. If you could somehow couple them to form a tight circle, it would both neutralise the gravity well of the black hole, as well as create another plane of rotation which you can tap for energy. An online comic Schlock Mercenary had a galactic drive engine which harnessed the energy of the spin of the Milky Way to power massive events such as teleporting (terraporting) whole planets and fighting a war with a race of dark matter creatures using the Andromeda galaxy to power their own galactic drive engine to shoot at the Milky Way. Dropping things onto a neutron star is another classic approach. It's kind of simple... but why not just use a big ole pile of antimatter? The use case for the energy is a big burst so you could use any conceivable energy production means to build up your pile, then annihilate an arbitrary amount to power your weapon with a massive energy burst. Not the answer you're looking for? Browse other questions tagged energy or ask your own question. What would shake a galaxy and what would shake the universe? What is a feasible source for a magic system's energy? Could black holes be a better source of energy than stars? Backing Futuristic “Credits” with Energy?